All DMM karabiners are designed with a specific function or purpose in mind, the Thor Karabiner is super strong, easy to use and versatile, utilising these qualities in a Thor Quickdraw Set simply just makes sense. 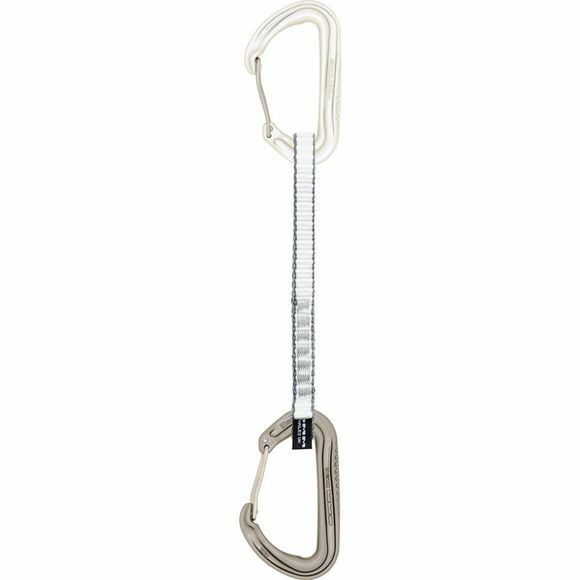 Following the classic lines of other DMM karabiners, the Thors meatier back means that it achieves a confidence inspiring super strength, and also offers an even more generous rope radius to help care for your rope. This biner is truly versatile, and could equally be used for trad, sport or winter climbing alike. If its extra security and robustness you are looking for, then this is an obvious choice.